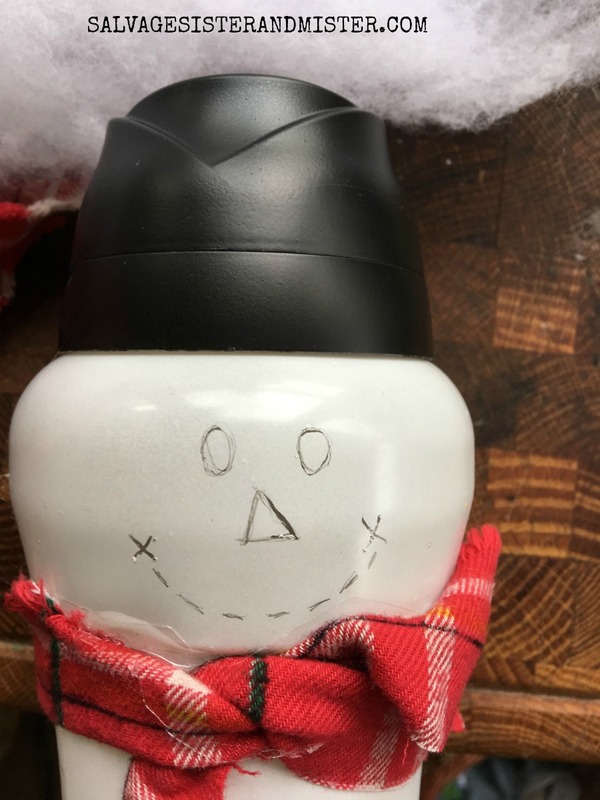 Today it’s all about upcycling a Downy Unstoppables bottle into some snowmen or snowwomen. Now, my mother in law is an avid snowmen collector. Her first reaction to any snowman comes down to the face. You have to have a sweet looking snowman so I knew I would need a cute face. I found this guide to help make them look cute as ever. 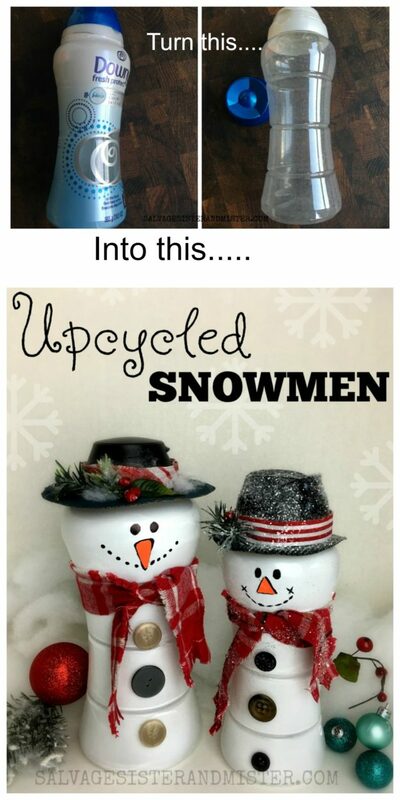 You can customize these upcycled snowmen however you like. Take off the plastic wrapping/logo info by just cutting a little at the top or bottom and rip off the rest. Remove the cap and spray paint the bottle white. 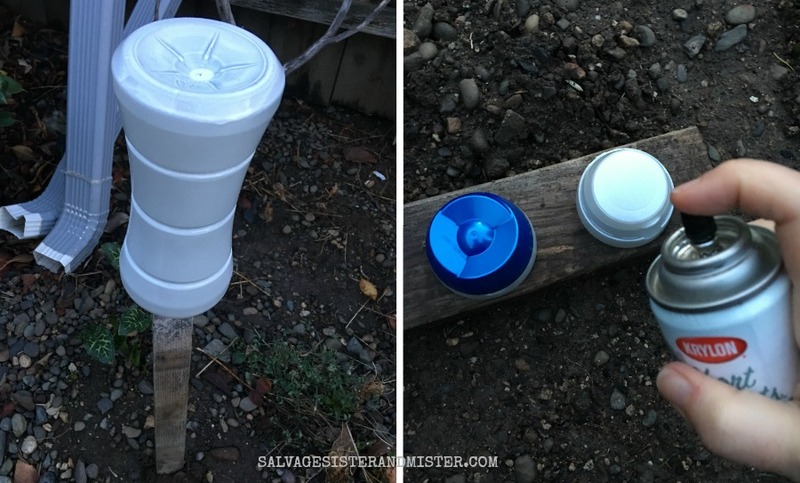 I took a stick in the ground and spaced the bottle on it to easily spray the bottle. On a piece of cardboard/scrap wood, spray paint the cap black. For the scarf, I took some thrifted fabric and cut a long strip. I then took it around the bottle and cut it the length I liked. I added a little hot glue to the top seem and wrapped the cut piece of fabric around the bottle. NOTE- too much hot glue could melt the bottle so use sparingly. On one scarf I added some lines with some thin markers to give it a different look (tartan) and used spray adhesive and some glitter to it as well. On both scarves, I cut small slits to fringe the ends. 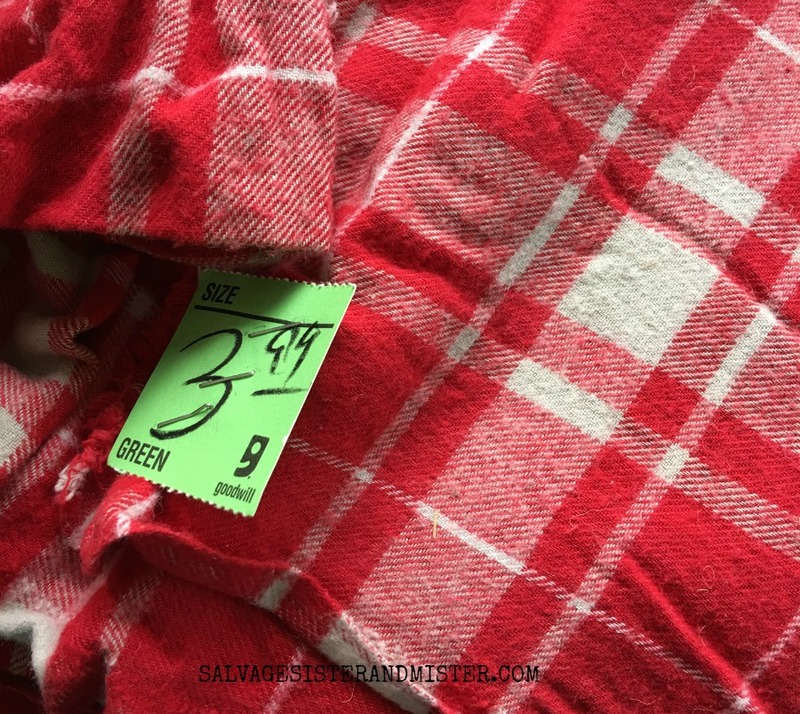 Three buttons were glued to the body. The Face- As I stated, I used the guide to choose the faces. I started with a pencil. Note – The pencil will/can scratch off the paint so be careful. I used a permanent marker to draw the face. Originally, I thought about using orange felt for the nose, but I didn’t have any so I used construction paper I already had. Again, I thought I would use felt for the rim of the hats, but didn’t have any black felt. When browsing around the craft room, I found this corrugated black cardboard/paper. It actually worked better than felt as it was stiff. Seeing as I am not a perfectionist, I eyeballed the rim larger than the cap. I cut a not perfect circle. One is smaller than I probably would do in the future but now he looks like he has a fedora so he’s a hip snowman. The other I made a little larger. Once the circle is cut out, place cardboard on table and bottle upside down, in the center, so the open bottle (no cap) can be traced with a pencil. Cut out inner circle with an Exacto knife (on a cutting mat). Place the rim over the open bottle and now you can screw the black cap on top. Decorate the cap with glitter, greenery/stems, ribbon and whatever you like. Although I didn’t add arms, you could easily do that with sticks and possibly glue or drill small holes. NOTE- Everything used was what I had on hand. I even used scrap ribbon from previous Christmas packages. Also, the paint on the plastic scratches easily. 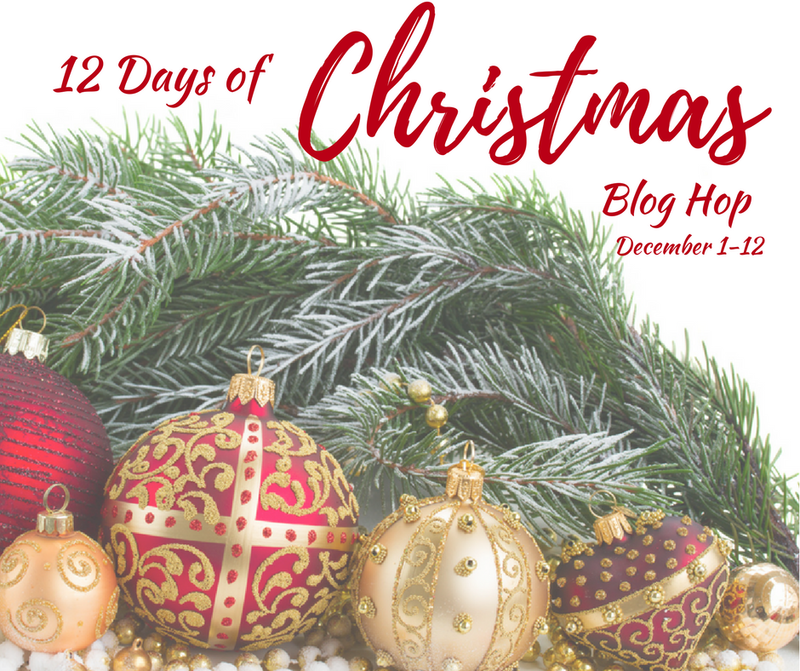 Do you make any ucpcyled snowmen or other Christmas items? Let me know what you do, in the comments below. So cute! 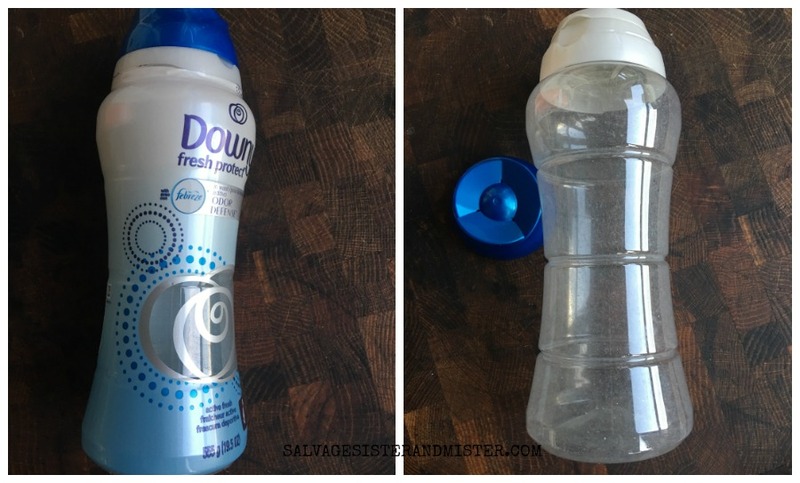 I love that you used a downy bottle to up cycle into something so adorable! Oh, those are so cute and what a great idea to use the bottle! I love upcycling….great job on this one. Very neat. Pam, Thank you so much! They were fun to make. When I saw the pic of your snowman on Instagram, I was trying to figure out what you used. I would never have guessed that you used Downy bottles! What a great idea and completely unexpected. So adorable! 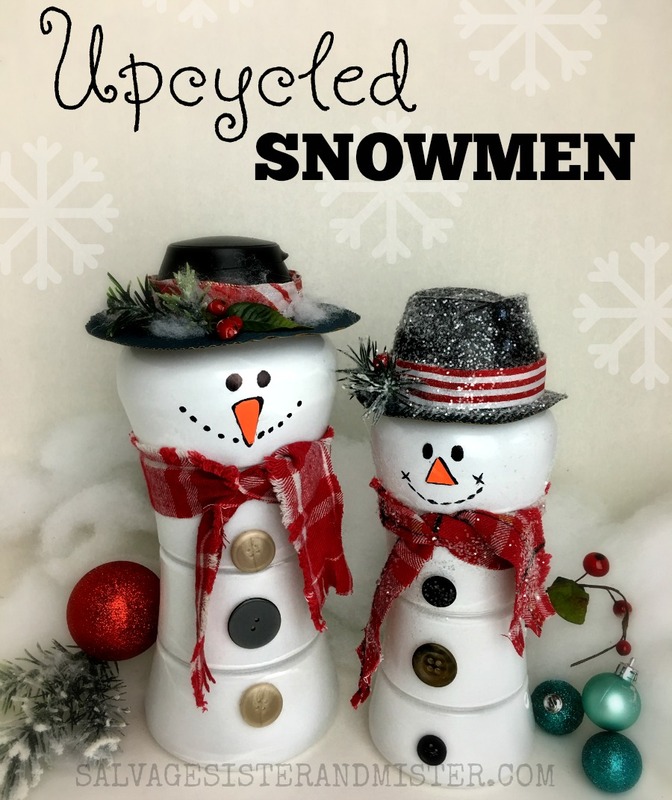 I love that you recycled something that would be thrown away and made these adorable snowman. 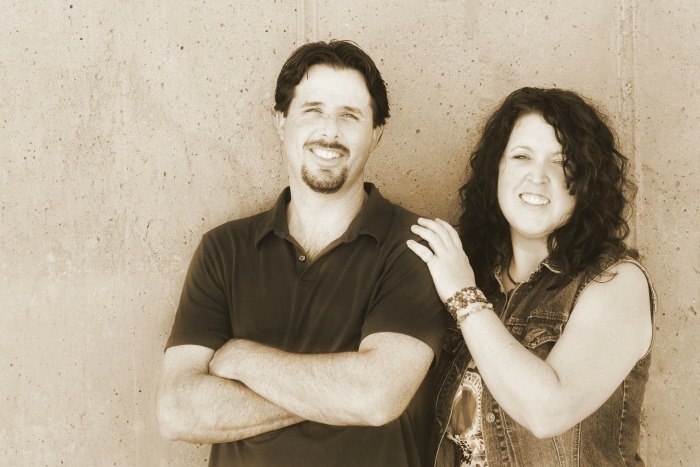 Their faces are really cute. I wish I would have see you post and the guide before I created mine. And their hats are so fun! Michelle, I love me some upcycling 🙂 Thanks for stopping by! Isn’t upcycling something so great? I love seeing things have another life. Thanks for stopping by!! How adorable. I would have never guessed the snowman is from recycled bottles. Debra, It was def a fun way to use those bottles again. Marie, Awe, Thanks so much! They were a lot of fun to make! Amazing use of recyclables. Your craft is super cute. Leanna, They were such fun to make!! Well that is just brilliant, such a clever upcycle. Julie, Thanks so much. They were fun to make. Susie, Awe..thanks so much! Perfection is your tree! It’s amazing! Thanks so much for stopping by my friend!!! I love that you upcycled! I often look at the bottles going into the trash and try to figure out what to do with them. This is an AWESOME upcycle! I would never have guessed these were fabric softener bottles! Pinned! Megan, Thanks snow much 🙂 They were fun to make. WELL! Hello again! Just signed up for your give-away, saw the link to this and would like to say… WHERE HAVE YOU BEEN ALL MY LIFE???? I don’t use this particular product, but I can see a couple of them in my future! Thanks! Dona. Lol…too funny!Good luck on the giveaway.